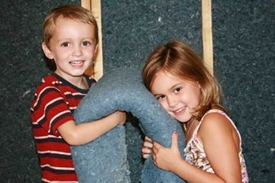 UltraTouch™ Denim Insulation contains 80% post-consumer recycled natural fibers making it an ideal choice for anyone looking to use a high quality sustainable building material. UltraTouch is manufactured in over-sized widths to ensure a tight friction fit and fill capacity. 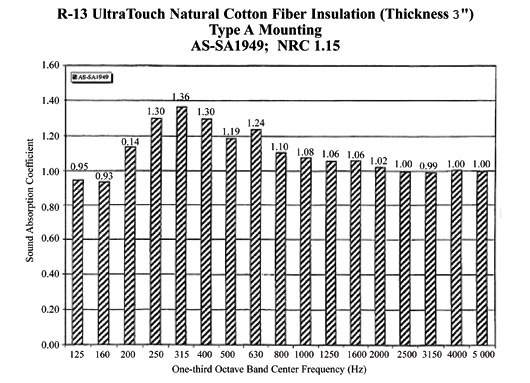 The UltraTouch patented proprietary process treats each individual fiber with a boron-based fire retardant. This treatment not only acts as a superior fire retardant but also impedes the growth of fungus, mold, and resists pests. UltraTouch offers an extremely high Noise Reduction Coefficient to effectively reduce airborne sound transmission including traffic, airplanes, radios, television, and conversation. UltraTouch consists almost entirely of natural denim and cotton fibers that are 100% recyclable, reducing landfill waste. The denim and cotton are also 80% post-consumer.